What a difference one thousand feet can make. When our family made our trip to Cusco back in December of 2011, I and no one else in our group suffered any ill effects of altitude sickness even though we were enjoying a Christmas in this Peruvian city that checks in at a height of 11,200 feet. 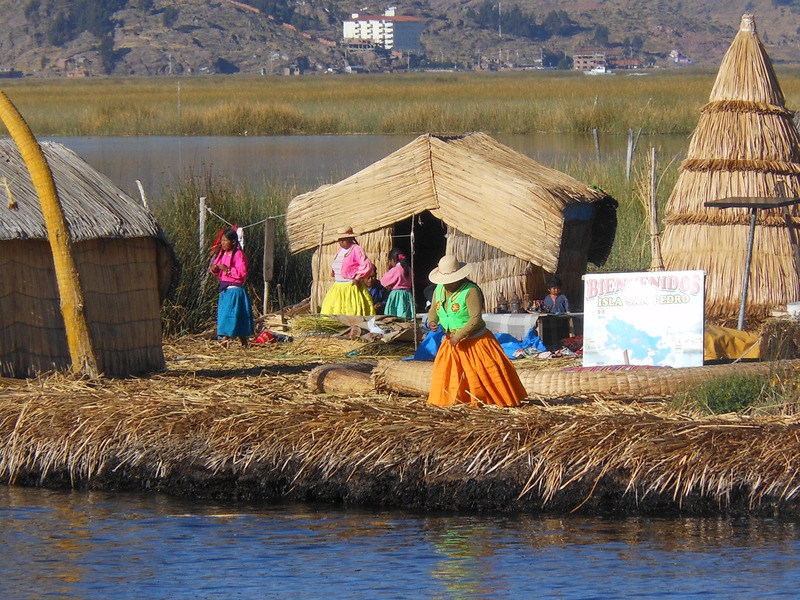 Fast forward to this month and our family’s outing to the city of Puno to sightsee around Lake Titicaca. Upon arriving at the airport in Juliaca, Peru (the closest airport to Puno), we were greeting with this sign informing us of our latest altitude. For those who care not to do the calculations in their head, 3,825 meters is the equivalent of 12,549 feet, which is more than twice the elevation of Denver, Colorado (aka The Mile High City). 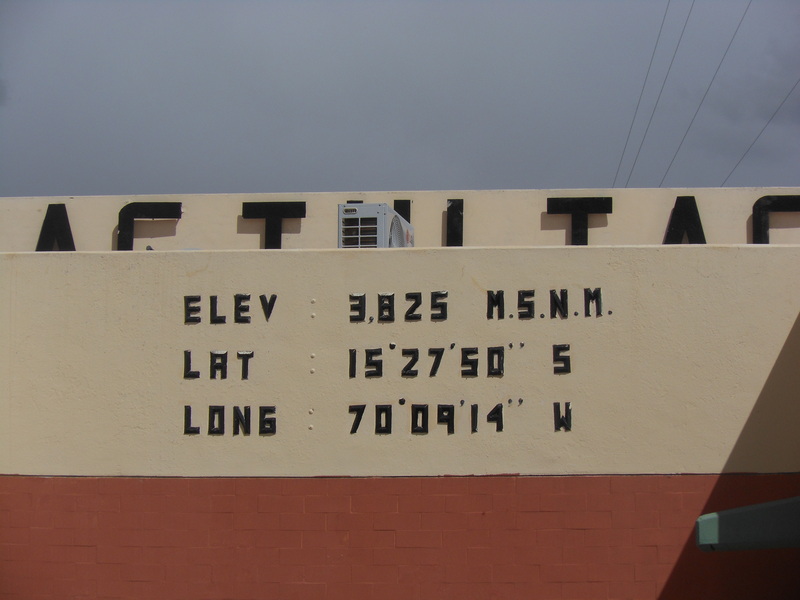 In case you were curious, the “M.S.N.M.” next to the elevation figure stands for “Metres Sobre Nivel Mar” (Spanish for “meters above sea level”). There – you have officially learned something new today. Unless, of course, you already knew that. In that case, then you should know that 95% of the funds dispersed under the Troubled Asset Relief Program (TARP) have been recovered by the United States government as of May 2013. There – now you have definitely learned something new today and you can check that off your “To Do” list. Back to our main story and the entire reason I have brought up the elevation of Juliaca is that I succumbed to altitude sickness in Puno. This malady, which results in dizziness, headaches, and shortness of breath, knocked me to the floor like the sub-prime housing market did to the economy. While my family enjoyed a wonderful day visiting the floating islands of Lake Titicaca and kayaking in those same waters, I enjoyed the view of my hotel room. For your enjoyment (and for mine also, since I’m seeing these photos for the first time), here are some of the views my family experienced. Out on the lake, people live on floating islands. 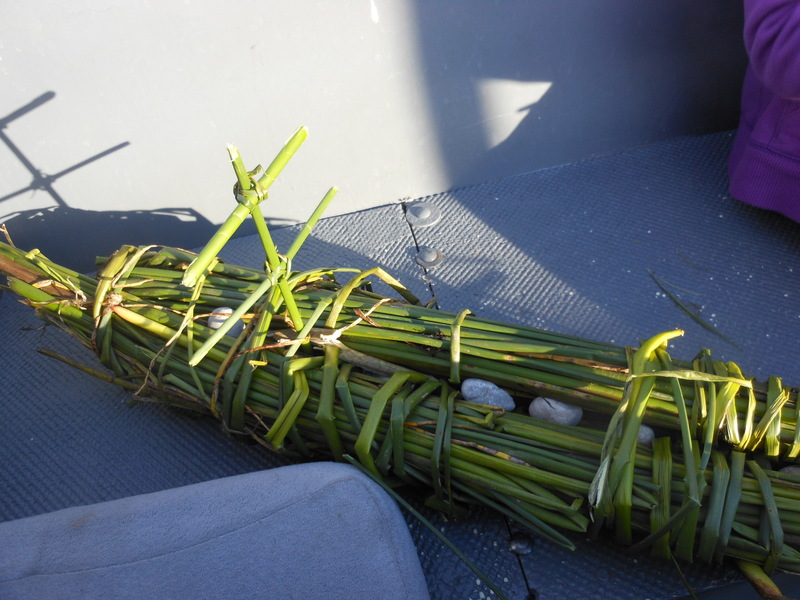 The islands are created by lashing totora reeds together and then covering the whole kit-and-kaboodle with dried reeds. Homes and other structures are then placed on the islands. From what I was told, walking on the islands felt like stepping onto a waterbed. Even some of the boats that ferry people between the islands are composed of reeds. 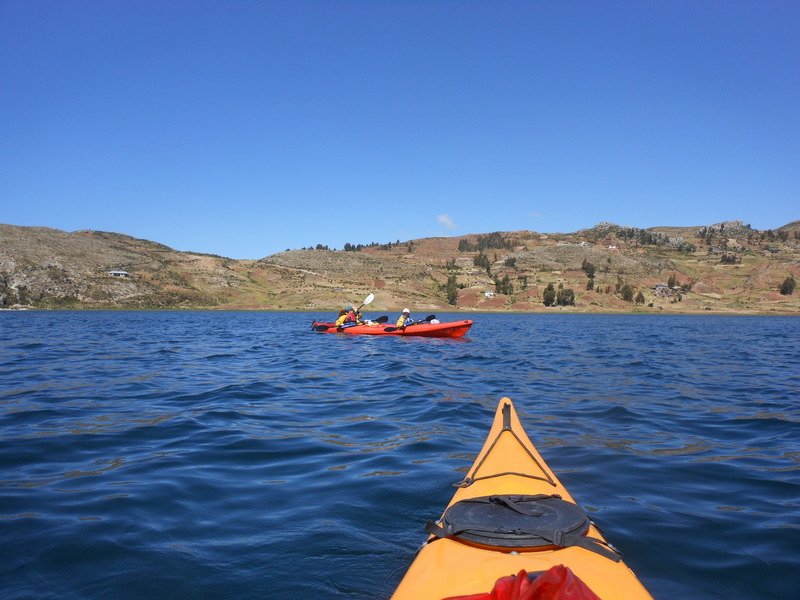 After a visit on the floating islands, the non-ill family members then strolled around Lake Titicaca in kayaks. 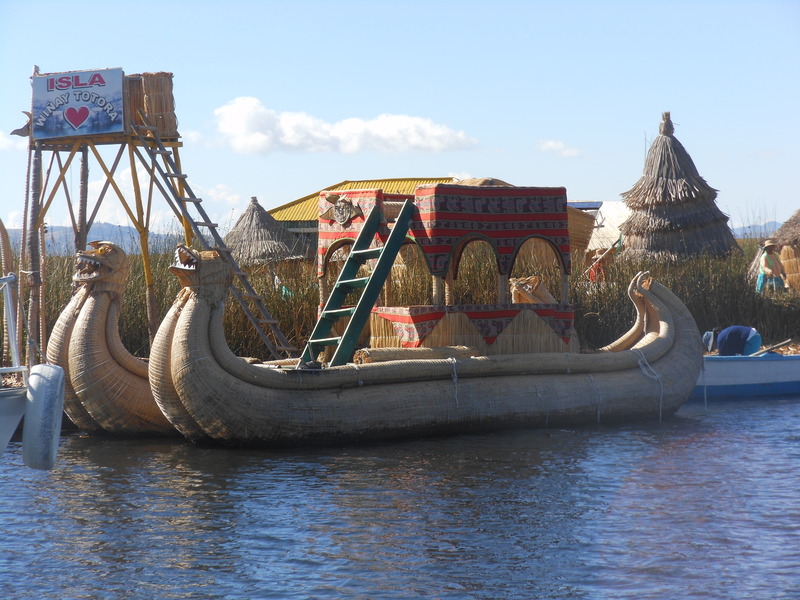 At the end of a long day, as my family waited for the boat to bring them back to Puno, the kids took some spare totora reeds lying around the docks and built their own boat. Finally, and for no other reason than because I can, here is a picture of…well, see for yourself. 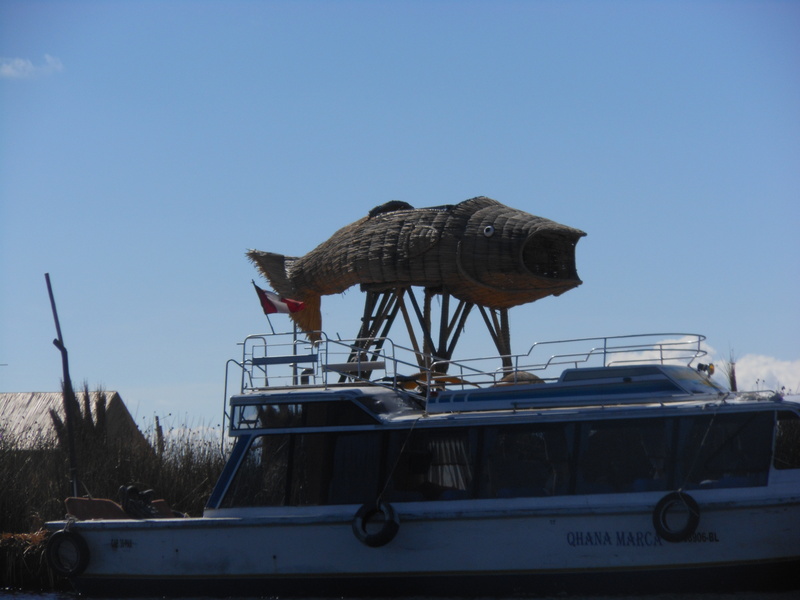 I guess a big-mouthed fish made of reeds is just the type of thing one sees when high in Peru. 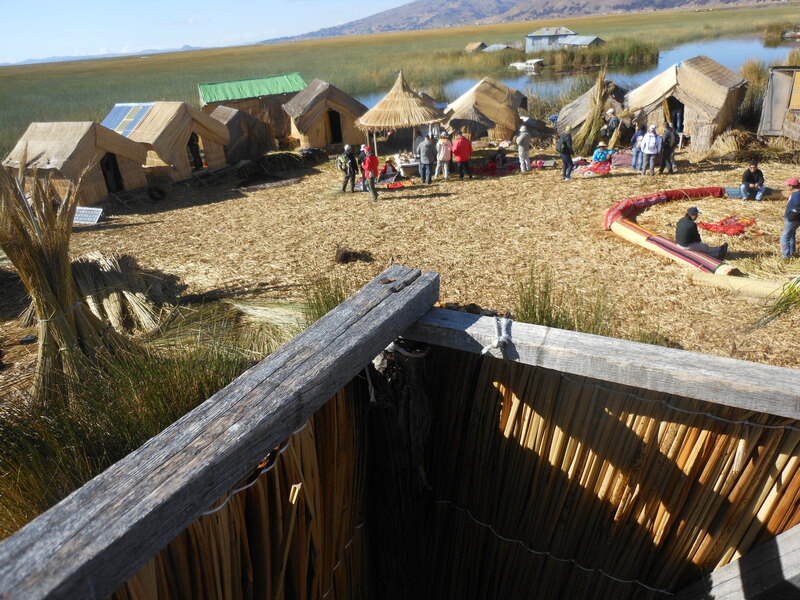 Posted on May 28, 2013, in Peru and tagged altitude sickness, Lake Titicaca, Peru, Puno, travel. Bookmark the permalink. 4 Comments.